"Home of ATA World Championships!" Click here for Holiday Inn reservations! Click here for Courtyard Marriott reservations! Click here for Tru by Hilton reservations! Team Sparring & Team Combat divisions for Jr. and Adult Black Belts will be offered! 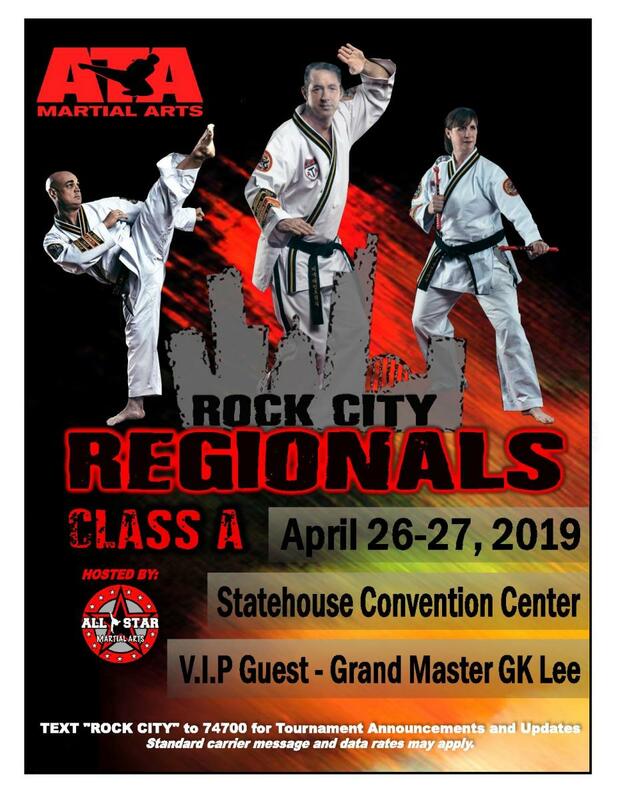 Team rosters must be submitted by email to eam5487@hotmail.com by Wednesday, April 24, 2019 at 8 a.m. No excepetions for late team registrations - they will not be eligible to compete. Team pricing will be $75 per team per division (sparring/combat). Please consult the new team competition rules for more details. If a competitor chooses not to compete in Forms/Sparring, the 1st event is $35, then $20 for each additional event. Please check back as more information will be added to this page as it becomes available!